Holiday Limited Edition candy cane crunch bar. Creamy white chocolate with candy cane crushed pieces. 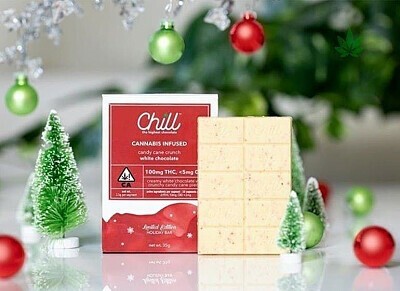 All Chocolate bars are prepared with THC and CBD. This truly is The Highest Chocolate.